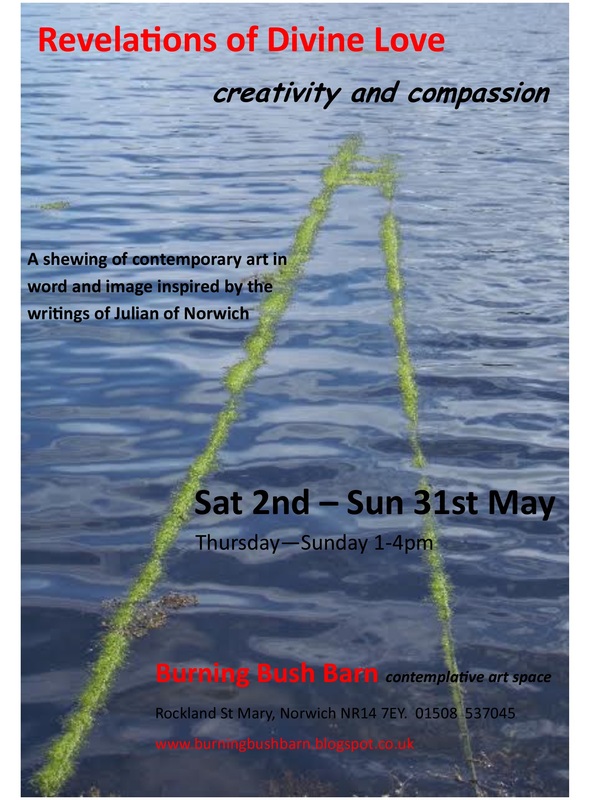 As part of the Julian Festival, the Burning Bush Barn in Rockland St Mary will be having a shewing of contemporary art in word and image inspired by the writings of Julian of Norwich. This will open on Saturday 2nd May with an afternoon reception with tea and cake where you will have a chance to meet the artists whose work has been selected. The Barn will then be open until Sunday 31st May on their normal opening days of Thursdays – Sundays, 1-4pm.